Abstract：The northeastern Tibetan plateau(94°E—105°E,32°N—40°N) is the front edge of expansion of this vast high land, which is crucial for understanding the evolution of the plateau. We obtain the shear-wave splitting results from waveforms of local earthquakes(2008—2014)recorded by the digital seismic network of Qinghai Province. First, we apply the HypoDD to relocate the seismic events, and choose those events within the S window (defined by the incidence angle ≤45°) for further analysis. Then, we use the SAM technique to invert the shear-wave splitting parameters. Totally, we obtain splitting parameters of 26 stations. The results show that two major fast shear-wave polarizations exist in Xining and adjacent areas, where multiple blocks converge. This means that seismic anisotropy in middle-upper crust of the area is controlled by both the tectonic stress and active faults. In addition, predominant polarization direction of seismic anisotropy in the crust from Yushu aftershocks is consistent with the principal compressive stress field in this region. Chang L J, Ding Z F, Wang C Y. 2010. Variations of shear wave splitting in the 2010 Yushu ML7.1 earthquake region. Chinese J. Geophys. (in Chinese), 53(11): 2613-2619, doi: 10.3969/j.issn.0001-5733.2010.11.009. Chang L J, Ding Z F, Wang C Y. 2016. Upper mantle anisotropy beneath the northern segment of the north-south tectonic belt in China. Chinese J. Geophys. (in Chinese), 59(11): 4035-4047, doi: 10.6038/cjg20161109. Chen Y, Li W, Yuan X H, et al. 2015. Tearing of the Indian lithospheric slab beneath southern Tibet revealed by SKS-wave splitting measurements. Earth Planet. Sci. Lett., 413: 13-24. Chen Y T, Zhao M, Li X, et al. 1994. 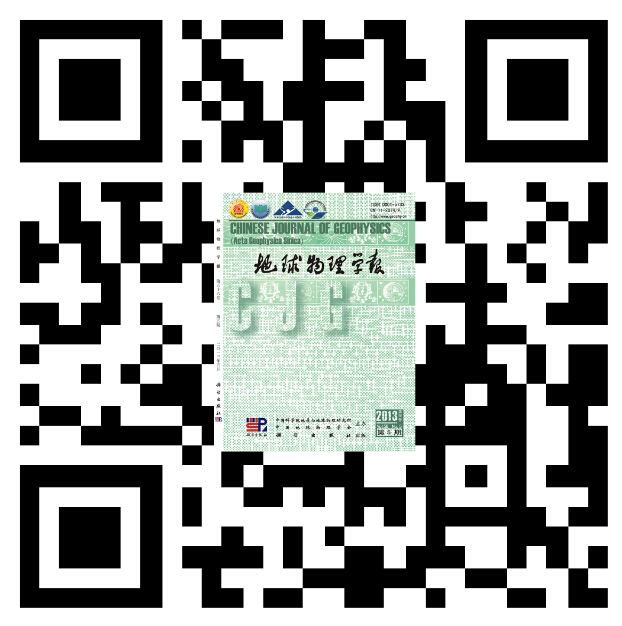 Complication of the source process of the Gonghe, Qinghai, earthquake.//Chen Y T. Progress in Solid Earth Physics in China. Beijing: China Ocean Press. Kong F S, Wu J, Liu K H, et al. 2016. Crustal anisotropy and ductile flow beneath the eastern Tibetan Plateau and adjacent areas. Earth Planet. Sci. Lett., 442: 72-79. Li C Y, Zhang P Z, Yin J H, et al. 2009. Late Quaternary left-lateral slip rate of the Haiyuan fault, northeastern margin of the Tibetan Plateau. Tectonics, 28(5): TC5010,357-369. Li X, Li H, Shen Y, et al. 2014. Crustal velocity structure of the northeastern Tibetan Plateau from ambient noise surface-wave tomography and its tectonic implications. Bull. Seismol. Soc. Am., 104(3): 1045-1055. Li Y H, Wu Q J, Zhang F X, et al. 2011. Seismic anisotropy of the Northeastern Tibetan Plateau from shear wave splitting analysis. Earth Planet. Sci. Lett., 304(1-2): 147-157. Liu K H, Gao S S, Gao Y, et al. 2008. Shear wave splitting and mantle flow associated with the deflected Pacific slab beneath northeast Asia. J. Geophys. Res., 113(B1): B01305,769-775. Molnar P, Tapponnier P. 1975. Cenozoic tectonics of Asia: effects of a continental collision. Science, 189(4201): 419-426. Ni S D, Wang W T, Li L. 2010. The April 14th, 2010 Yushu earthquake, a devastating earthquake with foreshocks. Science China Earth Sciences, 53(6): 791-793. Person W J. 1991. Seismological notes-March-April 1990. Bull. Seismol. Soc. Am., 81: 297-302. Silver P G, Chan W W. 1991. Shear wave splitting and subcontinental mantle deformation. J. Geophys. Res., 961(B10): 16429-16454. Vinnik L P, Farra V, Romanowicz B. 1989. Azimuthal anisotropy in the earth from observations of SKS at GEOSCOPE and NARS broadband stations. Bull. Seismol. Soc. Am., 79(5): 1542-1558. Waldhauser F, Ellsworth W L. 2000. A double-difference earthquake location algorithm: method and application to the Northern Hayward Fault, California. Bull. Seismol. Soc. Am., 90(6): 1353-1368. Wang J, Wu H H, Zhao D P. 2014. P wave radial anisotropy tomography of the upper mantle beneath the North China Craton. Geochem., Geophys., Geosyst., 15(6): 2195-2210. Wu J, Gao Y, Chen Y T, et al. 2007. Seismic anisotropy in the crust in northwestern capital area of China. Chinese J. Geophys. (in Chinese), 50(1): 209-220, doi: 10.3321/j.issn:0001-5733.2007.01.027. Wu J. 2007. Study of regional feature of Crustal Anisotropy [Ph. D. thesis]. Beijing: Institute of Geophysics, China Earthquake Administration. Wu J, Gao Y, Chen Y T. 2009. Shear-wave splitting in the crust beneath the southeast Capital area of North China. J. Seismol., 13(2): 277-286. Wu J, Zhang Z J, Kong F S, et al. 2015a. Complex seismic anisotropy beneath western Tibet and its geodynamic implications. Earth Planet. Sci. Lett., 413: 167-175. Wu Z B, Xu T, Badal J, et al. 2015b. Crustal shear-wave velocity structure of northeastern Tibet revealed by ambient seismic noise and receiver functions. Gondwana Res., 2017, 41: 400-410. Xu L S, Chen Y T. 1997. Inverse source parameters of the 1990 Gonghe, China, earthquake with digital waveform. Acta Seismologica Sinica (in Chinese), 19(2): 113-128. Yin A, Harrison T M. 2000. Geologic evolution of the Himalayan-Tibetan orogen. Annu. Rev. Earth Planet. Sci., 28(1): 211-280. Zhang Y, Xu L S, Chen Y T. 2010. Fast inversion of rupture process for 14 April 2010 Yushu, Qinghai, earthquake. Acta Seismologica Sinica (in Chinese), 32(3): 361-365. Zhao D P, Yu S, Liu X. 2016. Seismic anisotropy tomography: New insight into subduction dynamics. Gondwana Res., 33: 24-43. Zheng D, Li H Y, Shen Y, et al. 2016. Crustal and upper mantle structure beneath the northeastern Tibetan Plateau from joint analysis of receiver functions and Rayleigh wave dispersions. Geophys. J. Int., 204(1): 583-590. 常利军, 丁志峰, 王椿镛. 2010. 2010年玉树7.1级地震震源区横波分裂的变化特征. 地球物理学报, 53(11): 2613-2619, doi: 10.3969/j.issn.0001-5733.2010.11.009. 常利军, 丁志峰, 王椿镛. 2016. 南北构造带北段上地幔各向异性特征. 地球物理学报, 59(11): 4035-4047, doi: 10.6038/cjg20161109. 倪四道, 王伟涛, 李丽. 2010. 2010年4月14日玉树地震: 一个有前震的破坏性地震. 中国科学: 地球科学, 40(5): 535-537. 吴晶, 高原, 陈运泰等. 2007. 首都圈西北部地区地壳介质地震各向异性特征初步研究. 地球物理学报, 50(1): 209-220, doi: 10.3321/j.issn:0001-5733.2007.01.027. 许力生, 陈运泰. 1997. 用数字化宽频带波形资料反演共和地震的震源参数. 地震学报, 19(2): 113-128. 张勇, 许力生, 陈运泰. 2010. 2010年4月14日青海玉树地震破裂过程快速反演. 地震学报, 32(3): 361-365. 程惠红, 张贝, 张怀, 石耀霖. 2016年11月13日新西兰凯库拉(Kaikoura)MW7.8地震同震位移和应力数值分析[J]. 地球物理学报, 2017, 60(7): 2641-2651. 林鑫, 郝金来, 姚振兴. 智利MW8.3地震与MW8.8地震的震源过程及其引起的库仑应力特征[J]. 地球物理学报, 2017, 60(7): 2680-2692. 叶庆东, 丁志峰, 王生文, 余大新, 郑晨. 汶川地震科学钻探3号井孔附近微震震源参数确定及其意义[J]. 地球物理学报, 2017, 60(7): 2716-2732. 刘雁冰, 裴顺平. 汶川地震前后b值的时空变化及构造意义[J]. 地球物理学报, 2017, 60(6): 2104-2112.